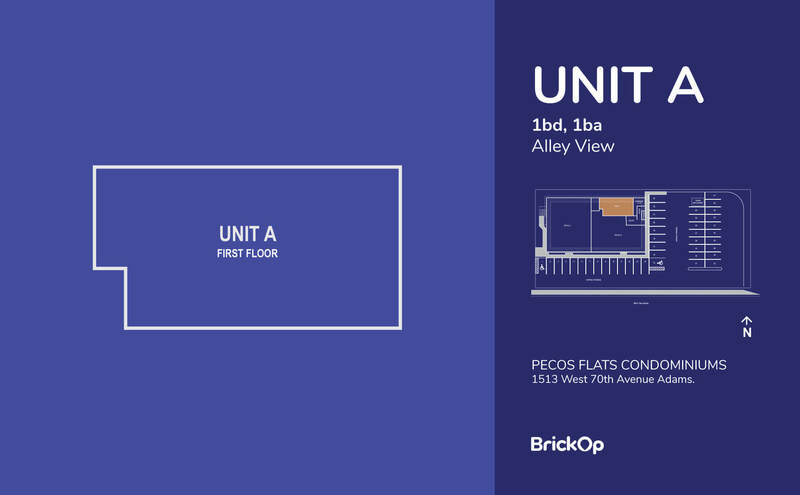 Alley View | 1 Bed | 1 Bath | 600 Sqft. * 8 years from the time you signed the contract with BrickOp. * This accounts for 3.8% vacancy on the unit. When opportunity knocks, why wait? We want to know all about your investment goals. Let’s talk! Fill out this form to learn more about how to invest in real estate with confidence and ease. Income per month... Less than $1.500 USD Between $1.501 and $3.000 Between $3.001 and $5.000 More than $5.001 Why we ask this? Annual Gross Income... Less Than $60.000 USD Between $60.001 and $80.000 USD Between $80.001 and $100.000 USD More than $100.000 USD Why we ask this? Your deposit money is put towards your down payment on your mortgage. The non-refundable amount that you pay to BrickOp upon reserving the unit of your choice. Your deposit money is put towards your down payment on your mortgage. 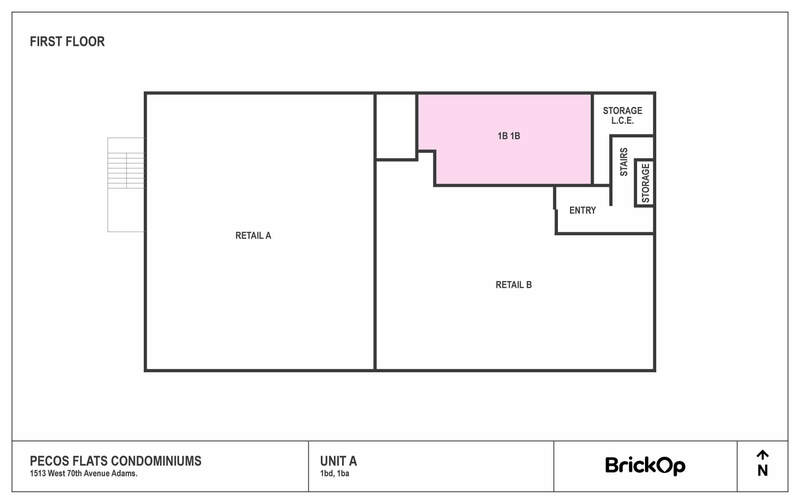 The current price of the unit for purchase in today’s market conditions. The amount of time you have to gather the total Down Payment Amount in order to purchase the unit at the current list price. The amount you will pay to purchase the unit at any point in the first 30 months after putting down your initial deposit. the estimated percent of the list price that you will need after 30 months in order to take out a mortgage and purchase the unit. The estimated amount of money that you will need after 30 months in order to take out a mortgage and purchase the unit. The estimated current monthly rental income paid by the current tenant of this unit that you will receive once you purchase the unit. The estimated amount you are expected to pay on a monthly basis to your mortgage lender toward the purchase of your unit. This estimate includes what you owe on your principal and interest on your mortgage as well as homeowners insurance and property taxes. The estimated percentage of the amount of money you are expected to earn on your investment in this unit on an annual basis. The estimate amount you will be expected to pay BrickOp’s property management partner to maintain and ensure your investment is well cared for. Also known as passive income, this is the estimated rate of return on your investment based upon the income the unit is expected to generate. Calculated before any expenses, this an estimate of the rate of the unit’s total income it will generate compared to the unit’s initial purchase price of the unit. Also known as net yield, this is the estimated total amount of money you will make on your investment after all expenses such as taxes, maintenance, insurance, and one-off fees. When selling real estate, both the selling and buying real estate agents receive a commission for their work on the purchase/sale of the property. This is typically paid by the seller of the unit at the time of the sale and is deducted from the sale price. The amount of the mortgage that is still outstanding meaning this number will be deducted from the sale price and paid back to the mortgage lender. The total amount of money you will receive after selling the unit in 8 years. The total amount of money you have invested to the unit. This includes your initial deposit, down payment, and monthly mortgage payments since closing. The total profit you receive on the unit after all your expenses. Internal Rate of Return (IRR): The calculated percentage of interest you would earn on each dollar you invested in the unit. Return on Investment (ROI): the total percentage gain generated on your investment relative to the amount of money invested. Amount of money left after paying the mortgage and all expenses of the condo. The estimated amount of money you are required to pay your mortgage lender on a monthly basis. the estimated difference between your monthly income and your monthly mortgage payment. The estimated amount of money you will pay for homeowner’s insurance on your unit. The estimated amount of money you will pay to the BrickOp property management partner on a monthly basis to cover things like building maintenance, landscaping, snow removal, trash and recycling, as well as to have someone manage your unit and find tenants. The estimated amount of federal and state taxes you owe on a monthly basis on your unit. The estimated total amount of money you will receive as passive income on a monthly basis after all expenses on your unit have been accounted for. The length of the lease agreement in month or years. The estimated monthly price that a tenant will pay to rent your unit. The estimated one-time application fee for a tenant to apply to live in your unit. This fee will go directly to your property management firm that is responsible for finding a qualified tenant. The estimated security deposit the tenant will pay before moving into your unit. This amount will be refundable to the tenant upon moving out as long as the unit be left in proper condition. When the unit is available for rent. Our team is ready and prepared to help you along the process. There are many questions that arise, and the process can seem quite complicated. That is where our expert team of advisors comes in! We are here throughout the entire process to make sure your questions are always answered and that you always have instant cash flow. Let us help you make your investing dreams a reality, fill out the form and one of our advisors will be in touch with you as soon as possible. Annual Gross Income Select... Less Than $60.000 USD Between $60.001 and $80.000 USD Between $80.001 and $100.000 USD More than $100.000 USD Why we ask this? Sommetimes you have to wait for the best things to come. We are on our way to release all the benefits of investing with BrickOp. Fill the form to stay up to date with us. Don't miss this opportunity. Invest in Real Estate with confidence and ease. Fill out the form to get learn more and have a discussion about your goals. We want to know all about your investment goals. Let’s talk! Fill out this form to learn more about how to invest in real estate with confidence and ease.